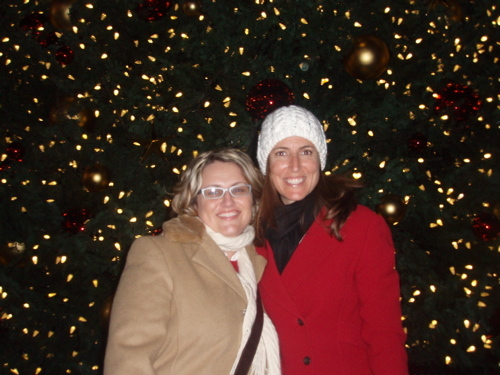 On Sunday night, Diane and I ventured down to Union Square to sing Christmas carols with all of San Francisco. And the tune that got drilled into our brain that evening? “Santa Baby.” For reals, people. Who wrote that song? “Santa Baby” and the “Boogie Woogie Santa Claus” have got to be the cause of too much egg nog. It didn’t taint our evening though. It was a magical night to be standing outside in the crisp air amidst all of the twinkly lights.